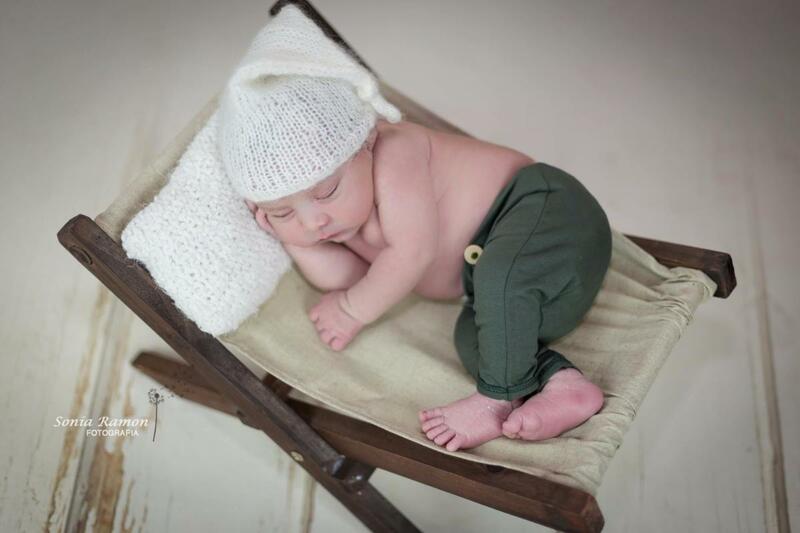 Handmade pair of pants made by hand with elastic fabric and decorated with round buttons. This product is ideal for your newborn photo sessions thanks to its measurements. Ideal both for photos on the bean bag and for those in which the baby is placed inside stands, bowls, baskets... Ideal to combine with our smooth fabrics for bean bag, since they are made with the same type of fabric. Approximate measurements: 24 cm x 15 cm.